I was tagged by two lovely writer friends in this “Writing Process” blog hop. The fiction-writing community can sometimes seem huge and vast and intimidating. But at other times, like these – when writers are all tagging each other and we get to “meet” our writer friends’ friends – it can seem small and warm and welcoming. We get to meet others who struggle, and those who are doing great work anyway, and we get to introduce our own blog readers to more great books! One of my taggers was Nancy Freund, a friend of mine from UCLA, who is now living in Switzerland and just came out with her knock-out first novel Rapeseed. Nancy was just interviewed on the BBC recently about the uber-interesting topic of synesthesia, which the main character in her novel has. It’s a deep, emotional story about families, ex pats, fitting in, checking out, grabbing meaning out of life, and memories. Check out Rapeseed as soon as you can! The other friend who tagged me was Catherine Rull, one of my fellow Firebirds from Australia, who is the hardest working gal in show business – she’s written 11 manuscripts! Catherine was one of the first Firebirds I met in person in 2012 in Anaheim – I saw her friendly face across the room at the “First Timers” workshop and recognized her immediately. I mouthed “Catherine?” and she nodded, and we sat together and became instant friends! Sweetest woman. Her new agent is now querying her Book 6, and we expect to see sale news from her any time now. I’m actually working on three books simultaneously right now, which I never thought I could do and never thought I’d be saying, but … well, there it is! 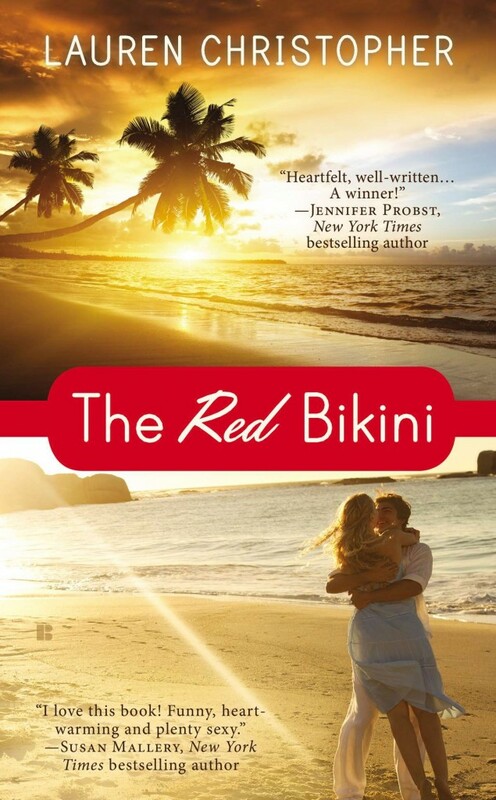 This week is the exciting launch of THE RED BIKINI, my first novel. (I’m so excited I can hardly stand it!) I’ve been working hard promoting it all month, writing guest posts, sharing Berkley contests, and more. 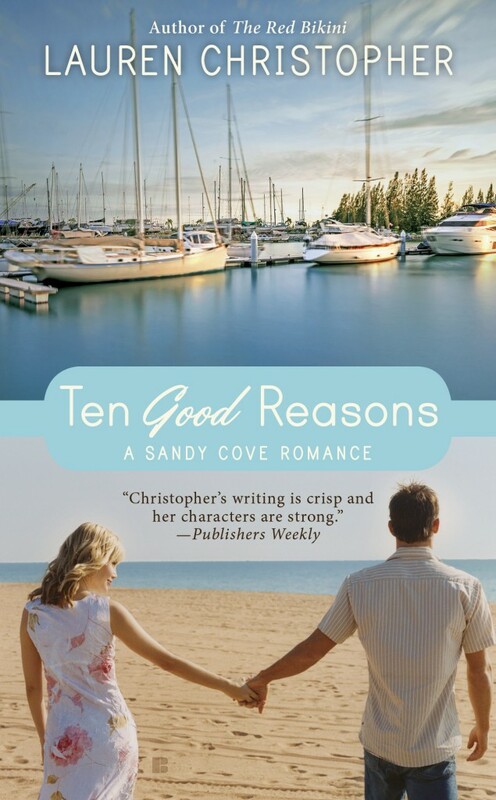 Meanwhile, I’m editing and fact-checking Book 2: TEN GOOD REASONS, which is having its cover designed right now. And I’m also on Chapter 6 of Book 3 to stay on schedule for producing a book a year. I’ve had fun writing about three sisters. (Which is weird because I don’t have any.) But maybe that’s why I wanted to write about them? I could just imagine what it might be like – the fun parts, anyway. Hmm. This is a great question. My work is similar to others in the contemporary romance genre in that it’s modern; the heroines are a little older (28, 30, and 35); it’s a little funny; and it lets the characters laugh at the craziness of falling in love. (That’s one of the things I love about contemporary romances.) It’s also following the current trends of alternating points of view (half the book is written from the heroine’s POV and half is written from the hero’s – writing a man’s POV has been great fun for me! ); it’s set in a small-town (popular trend right now); and is part of a three-book series with recurring characters (also a popular trend right now). But how my work is different: hmmm. So far I’ve been putting my characters in worlds where the reader might learn something new. I hope that might set me apart. In THE RED BIKINI, I show readers the world (good and bad) of professional surfing and how it’s different than you probably think it is. In TEN GOOD REASONS, I introduce readers to the world of whales and dolphins and the professionals who love that world. Book 3 will center around marine life, too, with my marine biologist Elliott, and I hope to show readers a peek into the window of rescuing wild animals. 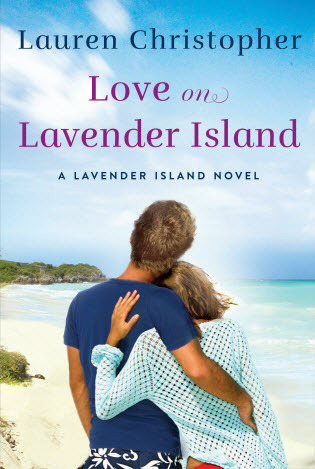 I think it’s really fun to read a romance novel and feel like I learned something from it (aside from commentary on love), so I wanted to offer that as an author. For instance, Laura Kinsdale’s historicals always leave me feeling like I learned a lot about history (how stroke victims were put in insane asylums, how women were not welcome in the world of mathematics, the evolution of various infectious diseases, etc.). And Rosalind James’ new contemporaries set in New Zealand make me feel like I just got back from vacation there, where I just learned all kinds of fun slang and all about the rugby culture. I love that kind of thing. So I hope to deliver that. I wrote an essay called “Why I Write Romance Novels.” (It’s here if you want to read the whole thing.) But the long and short of it is: I like to write about love. I like to write about falling in love, and how frightening and exhilarating and confusing it is at the same time. I like to study love, and what makes it work between two people where it wouldn’t work for anyone else. Romance writers get to be a little like matchmakers, setting up two “types” and seeing what happens. Can an introvert make a life with an extrovert? Can a science nerd fall in love with a beauty queen? Can an academic fall in love with an athlete? Can a fearful person fall in love with a daredevil? There are endless possibilities to explore, and endless stories to tell, and if you believe in the refraining theme – that love conquers all (which I do) – then you can explore this theme endlessly. I also like writing stories for women where women get to be the agency of their own lives. We see enough movies in the theater or shows on TV where male protagonists control the plot and their success and happiness is paramount. (Women are too often simply the supporting role.) But in romance novels, it’s all about women’s happiness. The female protagonists get to have happy endings. They get to have sexual fulfillment (without feeling “moralized to” or dying at the end, as is the case in most literature). They get to have someone love them for who they are, and respect them for what they’ve done. And women readers who devour these stories get to close romance novels with a smile on their face and a feeling of triumph. Not to mention that little adrenaline rush/ oxytocin hit that comes from being happy, much like watching a good comedy gives you. It’s a wonderful way for a woman to end her day, and I love thinking I might be able to give that as a gift to someone. Write a fast first draft of Chapter 1 with two interesting characters and an interesting problem to solve. Write the fast first draft all the way to the midpoint. Edit the first half into a second draft. Write the second half quickly. Show it to my agent. Adjust. Send it to my editor. I follow Blake Snyder’s advice of writing to “beats” in three acts. (From his “Save the Cat” screenwriting book.) I also follow similar advice from Michael Hauge about writing about the “identity” and “essence” in three acts. Learning these two processes has helped me immensely. So that’s my writing process! I hope that wasn’t too boring! Thank you Nancy and Catherine for tagging me. 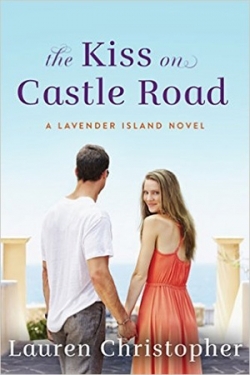 Now I’m going to tag Tamra Baumann, whose first book, IT HAD TO BE HIM, is coming out in March 2015. I’ve had the pleasure of getting a sneak peek at some of Tamra’s contemporary romances, and they are TERRIFIC! So fun and funny. We’re all in for a treat next March! Tamra will “take it away” with her post on her writing process here. 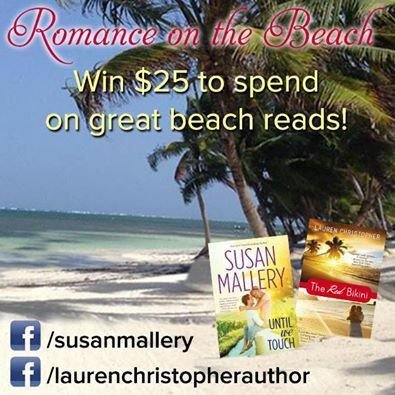 Contest with Me and Susan Mallery! New York Times bestselling author Susan Mallery, who has sold more than 25 million books worldwide, read my book and wrote a cover blurb saying how much she loved my hero Fin! She was kind enough to plan a contest this week to help introduce her readers to my book. Come play with us here! This reader question and answer originally ran in my March newsletter. If you’d like to sign up for my newsletter, and get all the posts mailed directly to you, sign up here. We also do monthly giveaways and have “sneak peeks” at chapters from upcoming books. This question is from avid romance reader (and one of my beta readers) Kristi Davis, whom I met on Twitter years ago. Q: Where do you usually write? What does your desk look like? 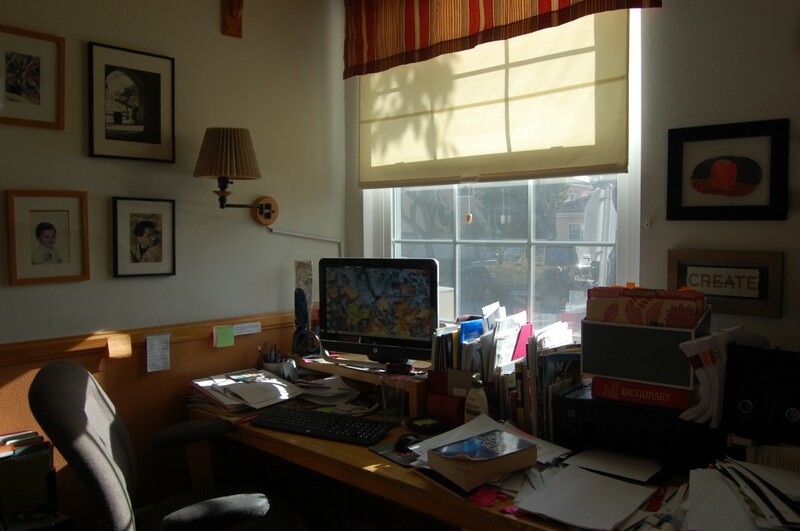 A: I have a very small den in my very small house that’s one of my favorite spots — and where I do ALL my writing. (I’m not a laptop writer at all.) I painted the room in my favorite colors and fill my desk with cozy things — my Galileo thermometer from my dad, my Shakespeare quill from my mom, my “at” symbol from Restoration Hardware, cards from my hubby and kids, pictures of my hubby and kids, my fave reference books (Roget’s Thesaurus esp), etc. It gets a little messy but I love it. And I have a great window that lets the light in the most beautiful way. I love my desk! Who doesn’t love free books? I feel like I’ve been living in a cave, not even realizing that Goodreads has constant book-giveaways. Sheesh. My publisher puts out nearly four new books per week on the GR giveaway circuit, and I’m sure other publishers do as well. It’s a book extravaganza going on over there! If you’re on Goodreads, and you like giveaways, and you like romance, zoom on over to Berkley’s giveaway page here. My book is on there somewhere if you scroll around, but feel free to peruse and enter as many as you like! It’s not like you can only win once. And if you want a fast-track to my giveaway, you can go here. Please share my link with all your romance-reading friends (or the woman next to you at the hair salon, or the person who sits in the next cubicle). There are 20 chances to win, so the more the merrier! My giveaway runs another 11 days. Good luck! And come back and tell me if you win!